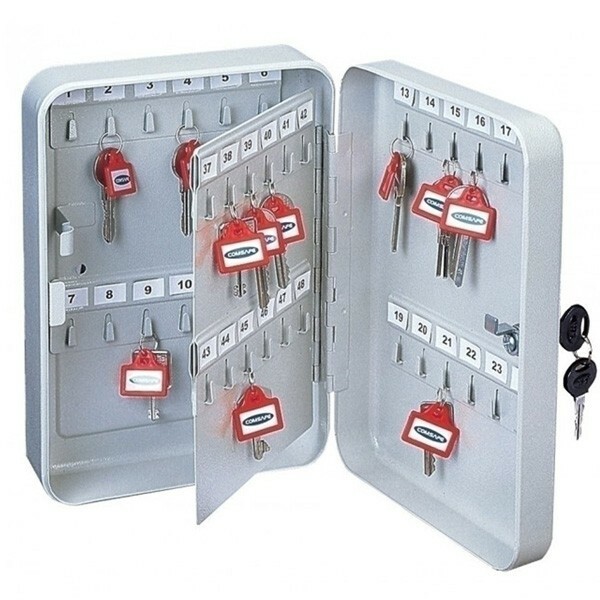 Rottner Key Cabinet 48 Key is constructed for wall attachment. The case and the door are made of steel sheet, with cylinder lock and 2 keys. Fixed installed key stripes (not adjustable). The surface is synthetic powder coated and white-grey.